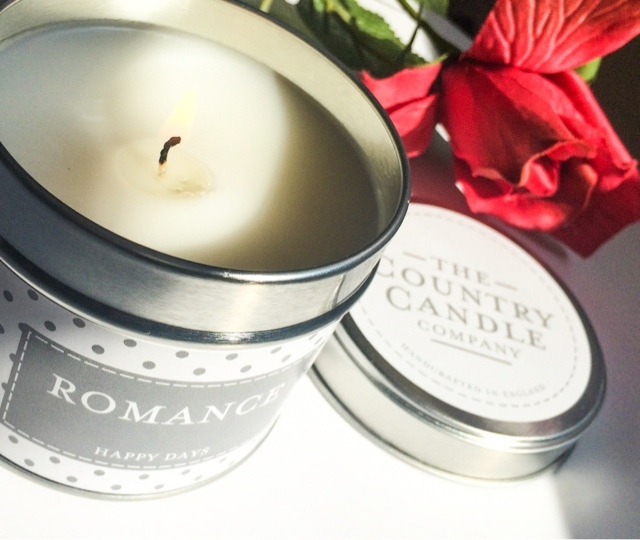 Lou Loves Beauty: The Country Candle Company 'Romance' candle. The Country Candle Company 'Romance' candle. Just like every beauty blogger out there, my candle collection grows on a weekly basis. I don't know what is it about them but what ever the time of year is I always seem to have one burning in my house. 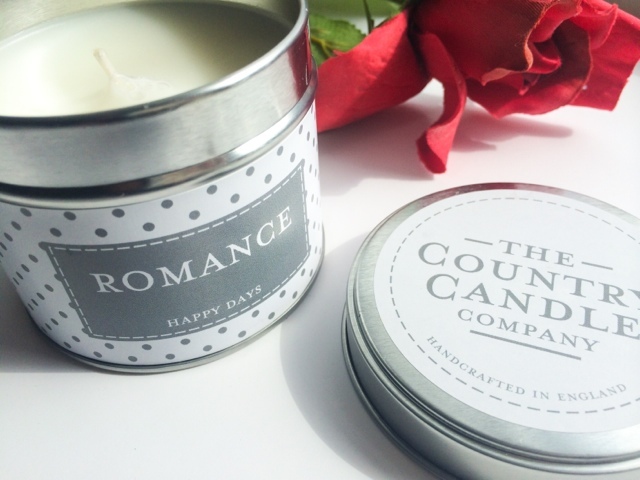 My most recent love comes from The Country Candle Company* and is their 'Romance' candle. The candle itself is housed in a tin but the same scent can also be bought in jars and even diffusers. It contains floral tones of Rose and Jasmine, sweet tones of Melon, Orange, and Plum - all on a bed of warm ambers and powdery musk. I love musky fragrances and this addition makes the scent a lot more appealing to me. I'm not normally one for heavily flowery or sweet candles as I can find them a little overpowering, but this is just perfect. The scent is very calming and warm, but not overpowering in any way and is a fragrance I love. The cute polka dot tin offers 30 hours of burn time and has quickly become my bath time candle of choice, as I don't have to worry about it breaking and can pop the lid on to keep it fresh when its not in use. There's a number of different scents to choose from, ranging from the seaside collection, vintage floral and one that's caught my eye already is the black pomegranate, which sounds right up my street! Have you tried any candles from The Country Candle Company? Have a peek at their site and let me know which ones you would choose!